its interesting to know how Picasso sees art. from the construction of the picture of the 2 naked women to the (deconstruction) bull he 'stripped' of itself and keeping the essence of the picture there even though it might be bare. yiwen and I drew each other for one of the activities in the activity book they gave us haha! 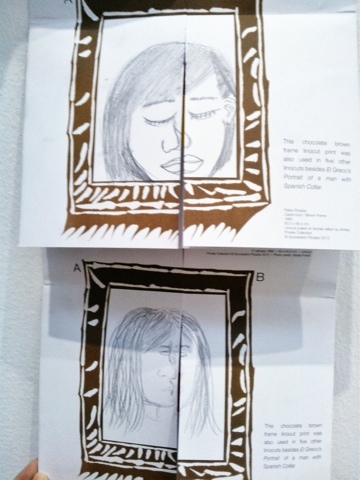 the top one is my drawing of yiwen and the bottom, her drawing of me.